He is a 46 years old resident at Peach weekly in London (over 6 years old and still the capital's busiest, most upfront Friday night), Graham is also a regular on Miss Moneypenny's, Clockwork and Sundissential tour dates. Abroad, Graham has rocked Australia, New Zealand, South Africa, Jerusalem, Tel-Aviv, Toronto, Los Angeles, Dubai, Malta, Majorca, Ibiza, Cyprus, Crete and Rhodes. He broadcasts every Monday on Kiss 100 London between 8 and 10pm. The show is completely non-playlist, and he showcases a really upfront selection of quality progressive house. Carl Cox has described it as "inspirational" and Oakenfold as "excellent" It's also also the most listened to house show on Kiss. He has been featured in virtually every major music magazine and for the 3rd year running features the Top 40 Best DJ's in the world in DJ magazine. He is also on their singles reviews panel. Graham has done many mix CD's, selling collectively over 700 hundred thousand copies. A deal with Logic records has spawned the new "Delicious" serious. 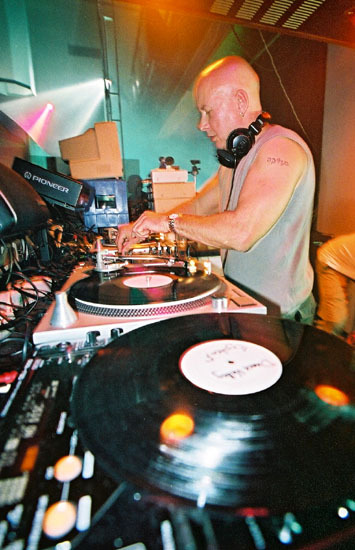 An effusive personality both in clubland and "on-air", a genuine love of his music and enthusiastic desire to work a room has led Graham to become a firm favourite with promoters, clubbers and the record industry. 2. Has sold almost 700,000 mix CDs. a total of 18,500 miles during June 2000. ("Kiss Mix '97" and "Club Cuts Vol.2").